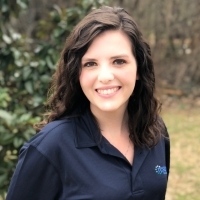 Betsy serves as the Global Development Specialist, using her passion for the Spanish language and Latin culture to build healing groups across the Hispanic community of Middle Tennessee, as well as working to resource all partnership organizations locally, nationally, and internationally. Betsy has a bachelor's degree in Anthropology/Sociology from Rhodes College and a master's in Civic Leadership from Lipscomb University. For both degrees she focused her studies on Latin American issues and the Hispanic immigrant experience in the United States. This interest was born from extensive time volunteering and working for non-profits serving the Spanish-speaking population in Memphis, experiences that opened her eyes to the specific needs of the immigrant community. She fully pursued this passion by studying Spanish in Buenos Aires, Argentina, where she felt God calling her to overseas missions. After graduating from college, Betsy spent a year in the World Race missionary program and served alongside full-time missionaries in eleven Latin American countries. She now uses her passion, skills, and experience to serve the Latino community here in her hometown of Nashville and support Restore's international partners on three continents. In her free time, Betsy enjoys listening to podcasts, planning trips around the world, and dreaming.